An artists impression of the Protector RPAS ordered for the Royal Air Force. A General Atomics Predator B will cross the Atlantic under its own power for the first time as it makes its way for display at this year’s Royal International Air Tattoo (RIAT). To be known as the Protector RG Mk.1 in RAF service, the aircraft will fly non-stop from North Dakota to RAF Fairford in Gloucestershire in about 20 hours. The flight will be the first crossing of the Atlantic by a medium altitude long endurance (MALE) remotely piloted aircraft (RPA), and the first time an unmanned system has operated beyond line of sight in UK airspace. The Protector will be equipped with due-regard sensor, and will be manufactured and certified to NATO and UK Safety Certification standards equivalent to manned aircraft. “The first trans-Atlantic flight of the Protector reinforces the Royal Air Force as being at the forefront of cutting edge technology,” Chief of Staff Capability Air Vice-Marshal Rochelle said in a statement. “Offering over 40 hours’ endurance, Protector will provide the RAF with unrivalled intelligence gathering possibilities. UK Minister for Defence Procurement, Guto Bebb added, “Protector’s first arrival in the UK is an exciting milestone in our mission to get the most advanced equipment to combat the intensifying threats that we face. 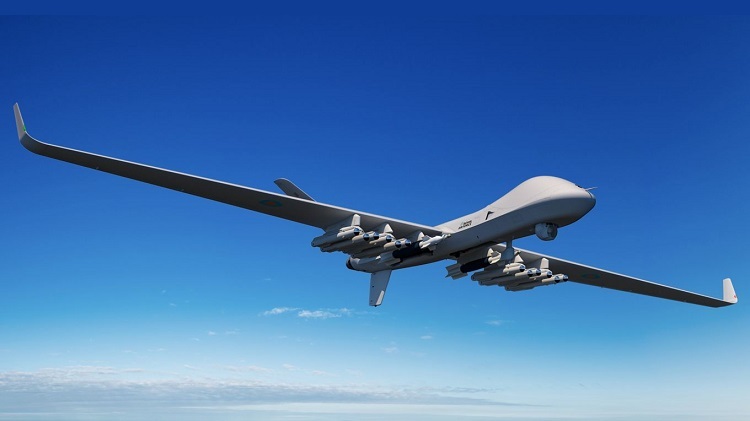 The UK’s Protector configuration of the Predator B is likely to form the basis for General Atomics’ offering for the ADF’s Project AIR 7003, a decision on which is expected by the end of this year.